The average percentage from this group is almost 15 per cent of the total patient count which is the second highest. It is also noted that there has been a steady increase in female infertility cases amongst Emirati couples from this age group. Recent research by IVI Middle East counsellors also brings to light that the largest number of infertility cases are from the age group of 35-40 in the region; with the younger age group catching up too. It is also important to note that majority cases of female infertility conditions are triggered by causes that are specific to the population of this region. 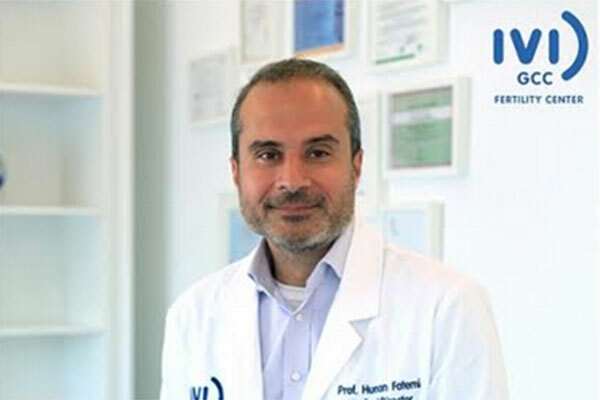 “While lifestyle and eating habits are two critical factors that have led to an increase in infertility with the local age group between age 20-30, consanguinity is another very important reason for the increase in such cases amongst the Emirati population,” said Prof Dr Human Fatemi, Subspecialist Reproductive Medicine & Reproductive Surgery, medical director, IVI Middle East Fertility Clinic. IVI Middle East Fertility Clinics are a part of the world leading IVF institution – IVI and offer the highest standards of fertility treatments. IVI group has the success record of 160,000 births worldwide and is widely respected for not just the science but also for research and advancements in the field of reproductive medicine. Almost 80 per cent of the clinic’s patients in the UAE are local and 20 per cent comprise other nationalities. “It seems that Emirati families face increased incidences of infertility. In females, parental consanguinity leads to a low ovarian reserve and due to rare sun exposure of the skin, Vitamin D deficiency is very common. Other factors are unhealthy diets and diabetes. Similarly, male infertility is related to obesity, excessive smoking, possible steroid consumption for bodybuilding and largely consanguinity,” added Dr Barbara Lawrenz, consultant Obstetrics & Gynaecology, IVF, IVI Abu Dhabi. It is to be noted that a woman's age is the one of the most important factors determining her chance of pregnancy and a healthy birth because with age, the quality and quantity of her eggs decrease overtime, and the likelihood of miscarriages and birth defects increases, a statement said. A study of the existing consultations at IVI clinics also shows that if a woman has healthy pregnancies in her 20s or early 30s, it does not mean that her attempt to have another child in her later 30s or 40s will be successful. She may face complications once she touches 35 or more, as the chances of her conceiving naturally are halved compared to her chance in twenties.